There was a brief period when I was a kid where everyone wanted to be multitaskers. 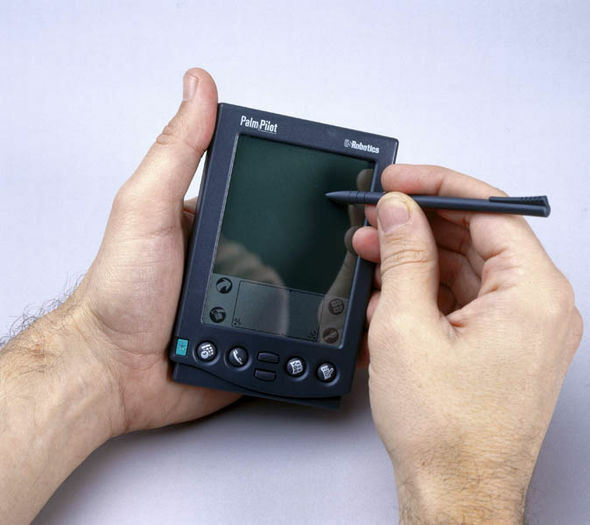 “I can multi-task,” the business people would say, palm pilot in one hand and coffee mug in another. Teachers started breaking up segments of instruction into smaller chunks, and sensory stimulus were included in our lessons. It was glorious. And then promptly all the pedants and single-taskers came to tell us that’s not real, and my time in the sun clouded over. “No one can do two or more things at once with any sort of efficiency or quality control,” scientists said as they wrote papers while listening to Mozart and eating their breakfasts. I am a multi-tasker. I can’t focus without music on in the background (or some other innocuous noise). While I’m writing a contract, I’ll often be processing another in the back of my mind and stop the one I’m working on now to check something on the other one as a problem I’ve been considering clarifies passively. You can find a poem about this on my Live Journal. That is I think what multi-tasking is. Our passive processing requires an active process to be taking place at the same time. It’s not that I can write two agreements at the exact same time, or perform a Shakespearean soliloquy while engaging in a conversation, it’s that I go back and forth between projects as I consider them, and that I need to keep my different senses engaged if I’m going to concentrate. Step one, put section A and section B together with screws from Pack E.
Am I almost out of shampoo? Pick up sections A and B. Process the first paragraph of audiobook. Maybe while X is showering, Summer will go through their things and find Y clue. Screw in sections. Listen to next 3 paragraphs of audiobook. Pause audiobook, write down finished shopping list. Unpause, do step 2 of building. Oh shoot, I forgot we need cat food, too. Make note on shopping list. Do step 3 of building while listening to audiobook. If Summer handles that part of the mystery in chapter 1, I can start chapter 2 with them catching her, which sets up the action I need in chapter 5. This continues until one project is done or I can’t focus on any one of them anymore, and then it’s time for a break. Or until there’s a collision in the hamster wheel. My spouse, however, is very single-task oriented. He can’t have music with lyrics while he’s working. If he’s listening to a podcast, that’s all he’s thinking about. He can work on projects completely engrossed for hours on end, and pulling him out to ask him about something else really causes confusion. If we don’t use the terms multi-tasking and single-tasking for these two different productivity styles, I don’t know what else to call it. I don’t know how else to do things. Single tasking makes me so frustrated I can’t hold a pen. So take that, science. I’m as real as anyone in the multiverse is, and I multi-task like a champ. Currently making a weighted blanket, thinking about non-profit fundraising, and watching project runway. So… Multitasking. All the way. Yes! That sounds like a great Sunday, too.